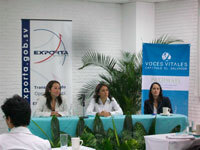 Exports with Vital Voices and the United States Embassy in El Salvador and Representative "Pathways to Prosperity", was offered the day March 1, 2011 the seminar "Exportaciones-El camino hacia la prosperidad "
The seminar provides information on the importance of exports for PYMES, with an emphasis on women's entrepreneurial and innovative. Exports provided the steps to start the export process, uncommitted participants to the prosperity and development primarily to generate business opportunities overseas. 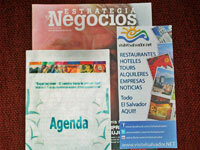 Shared their experiences as business Exporsal, Productos La Canasta y Mieles Joyas de Cer�n. 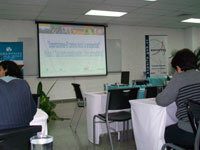 Visit El Salvador Info toast the participants of the event so that they consider an alternative to be released through our Web Site.